You are here: Home / Featured / CEBU PACIFIC SNAP SALE DAY – FOR AS LOW AS 244 BASE FARE! 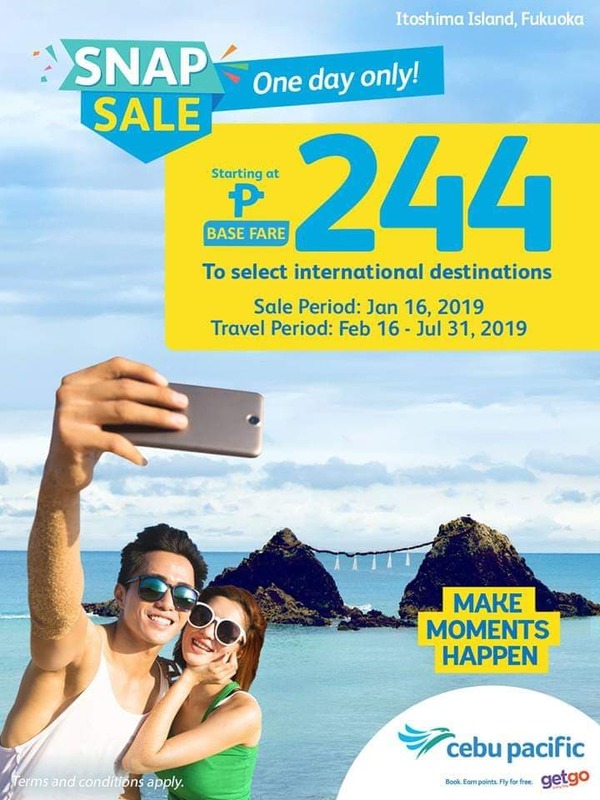 CEBU PACIFIC SNAP SALE DAY – FOR AS LOW AS 244 BASE FARE! Make your first summer adventure moments happen with Cebu Pacific Air! Another SNAP SALE lowest fares released today for us to book and enjoy summer. Do you want to visit Japan for their famous Cherry Blossoms? Book now for as low as 299 one-way base fare to any select international flights!